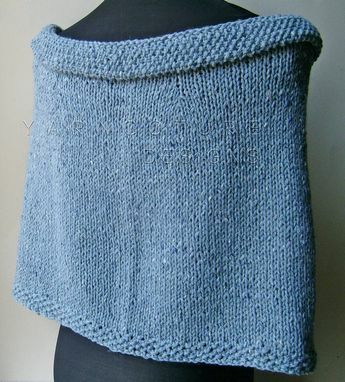 Sporty yet chic, The Ascot Capelet is my latest design! Dress it up or down, this wonderful capelet is the perfect companion with a turtleneck, a pair of jeans or a nice evening out with friends. Completely hand knit in luxurious angora, lambs wool and cashmere yarn, this simple design resembles a sweater being tied at the neck but switches out leaf ascots as fasteners instead. 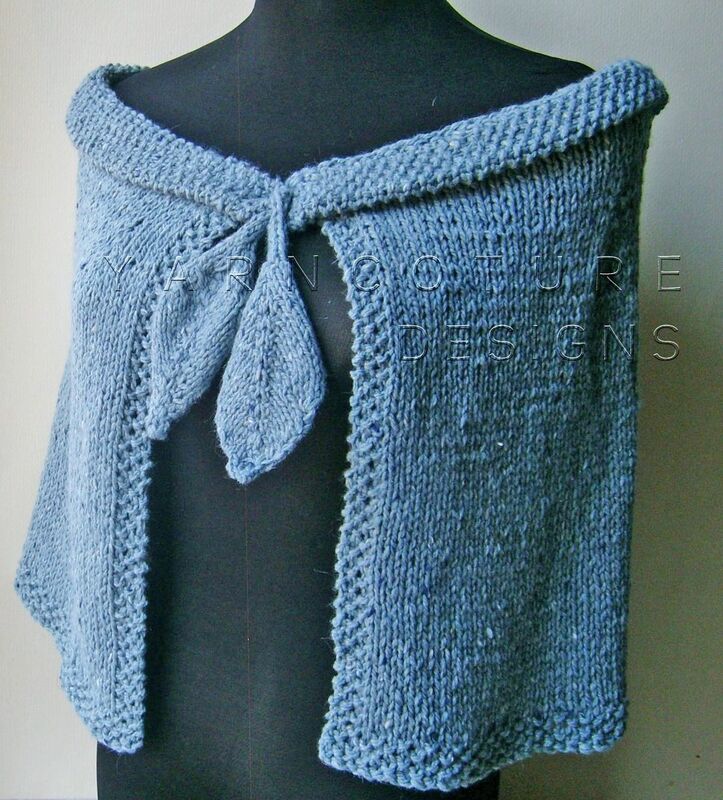 I truly enjoyed creating this piece and I hope that you'll want to order this one in different colors and fibers to suit your preference. Makes a fabulous addition to any wardrobe! Care: Special laundering instructions will be included with your capelet. Size: Fits sizes small to medium up to a 38 bust.